For almost half a century an important focus of the work of the HNC has been the permanent protection of ecologically significant lands through land purchase, conservation easements or donations or land or conservation easements by conservation- minded landowners. With the purchase of our Spooky Hollow Nature Sanctuary in 1961 the HNC became Ontario’s first land trust. Over the years the club has raised more than $600,000 for the permanent protection of natural areas through our nature sanctuaries and through support of acquisitions by other conservation groups. The properties that the HNC owns and/or manages to permanently protect their natural heritage values are called Nature Sanctuaries – a reflection of the priority placed on maintaining and enhancing the natural features and ecological values of these sites. Scores of volunteers are involved in the management of our nature sanctuaries. 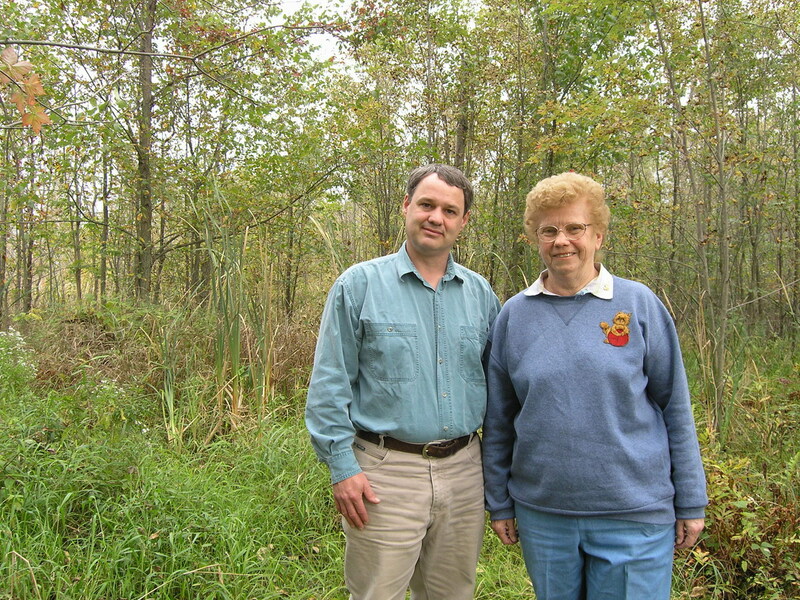 Their work is coordinated by the HNC’s Sanctuary Land Trust committee, as part of our Head-of-the-Lake Land Trust Program. Management costs are covered primarily by donations to the HNC’s Sanctuary Fund, which provides for ongoing maintenance costs and supports special projects, and the Habitat Preservation Endowment Fund – part of the income from which supports management costs for the Sanctuaries. Find out more about these funds or make a donation. In some of our Nature Sanctuaries footpaths have been built to allow for walking, nature viewing and other low impact activities in a manner that will not negatively impact the ecological values and functions of the site. Pedestrian based recreational uses are permitted under controlled conditions in some of our Nature Sanctuaries, where such uses can be accommodated without negative impacts on the ecological values of the Nature Sanctuary. Horses, bicycles or motorized vehicles are not permitted in the nature sanctuaries nor is hunting, fishing or the removal of any natural materials. Access permitted, if any, is mentioned under the descriptions of each nature sanctuary. For more information on HNC Nature Sanctuaries, to find out how to get involved or for permission to access the Short Hills or Spooky Hollow Nature Sanctuaries please contact our Land Trust Manager . The Hamilton Naturalists’ Club is working to bring nature to the city through the Pollinators Paradise and Trees Please projects. The Pollinator Paradise Project is a partnership project of the Hamilton Naturalists’ Club and Environment Hamilton and is creating a “pollinator corridor” of native plants that will provide food and shelter for pollinators across the city. Pollinator habitat is being created in public and private spaces with residents interested in making Hamilton a refuge for pollinators. By creating habitats that are full of wildflowers we will also be beautifying neighbourhoods and increasing neighbourhood pride. Trees Please! 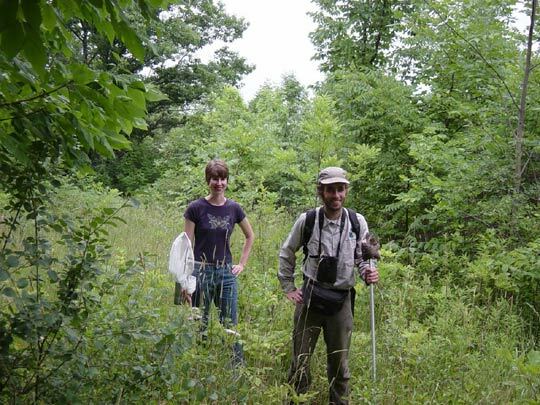 is a project of the Hamilton Naturalists’ Club (HNC) along with Environment Hamilton (EH). Endorsed by the Ontario Lung Association, it is designed to improve Hamilton’s air quality through strategic planting of native trees, shrubs and plants in six lower city neighbourhoods. More vegetation will improve the health of Hamilton’s urban forest, thereby helping to mitigate the impacts of climate change, creating more shade and shelter for humans and wildlife, while enhancing neighbourhood aesthetics and quality of life. Trees Please! offers unique opportunities for community volunteers to become ‘citizen scientists’ (nonprofessional scientists conducting research). They collect air particulate pollution data as well as help to conduct a tree inventory to evaluate the health of the urban forest. Volunteers then assist in analysing the air and tree data to identify priority planting locations and species to be planted. Lastly, community members are invited to participate in planting events that target these priority locations. Trees Please! is generously funded by the Ontario Trillium Foundation. Lichen in the City combines an introduction to the commonly overlooked world of lichen with citizen science air quality monitoring using two relatively hardy urban species. With a background knowledge on the biology of lichen and how the organisms are sensitive to air pollutants, we can infer air quality by its presence or absence, and recognize what steps can be taken to address urban air quality issues. Students become important citizen scientists in their schoolyards and learned about the real effects of air quality on living organisms, developing a better understanding of the importance of lichen as a bioindicator and the ability of trees to improve air quality and enhance the urban forest in Hamilton. Read the 2018 Lichen in the City report. Lichen in the City is generously funded by the Royal Bank of Canada.